"Quite simply, the findings of Science from the fields of Astrophysics, Geology, Archaeology, Anthropology, and Literary Criticism have concluded that the Bible is _not_ the word of God, this precious hard-won scientific knowledge constitutes The Forbidden Knowledge on the Bible's Pre-biblical Origins (please click here for a very fine article on what constitutes "forbidden knowledge" according to the Wikipedia). The "forensic evidence" (physical evidence) unequivocably _contradicts_ (refutes, denies and challenges) the witness' (Bible's) testimony regarding the age of the Universe and of the Earth, how life came into being, and when this occurred. For some conservative Catholic Scholars the earth and the universe was created 5199 B.C. while some conservative Protestant scholars understand this event was in 4004 B.C. _CONTRA_ these dates (being derived from the Bible's internal chronology), Astrophysists understand from data compiled by the orbiting Hubble Space Telescope that the earth is 4 billion years old and the universe is 14 billion years old. If the Bible has the age of the earth and universe wrong what else does it have wrong? Archaeology and Geology reveals there never was a Garden of Eden or Adam and Eve, nor was there ever in the earth's geologic history a universal Noah's Flood, and the Exodus -as portrayed in the Bible- is fiction according to the findings of Archaeology. The discipline of Literary Criticism has established that Moses did not write the Pentateuch, the first five books of the Bible, in the 16th or 15th century B.C. as claimed by Jewish, Christian and Islamic traditions, the texts were composed in the 7th or 6th century B.C. 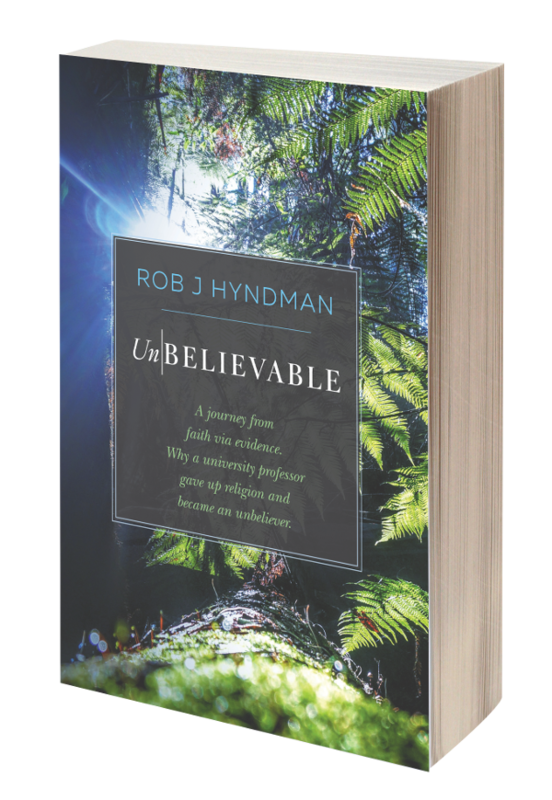 The counterclaims of Christian Apologists are investigated and their "flawed methodologies" are noted (They claiming that Satan and his Demons have "misled" and "duped" the Scientists and that the Bible is a reliable witness)." An ‘Old Earth’ Creationist would have no problem with a 14 billion year old universe, and a 4 billion year old earth. The ‘Old Earth’ idea was publicised by HWA, but existed years before his birth, and continues to exist by a minority of creationists, many of whom never had any connection with HWA. So the statement ‘If the Bible has the age of the earth and universe wrong what else does it have wrong?’ would not apply. The Bible doesn’t limit the Universe to a few thousand years. ‘Archaeology and Geology reveals there never was a Garden of Eden or Adam and Eve’. A statement that is ‘whistling in the wind’. The Garden of Eden would have covered a fairly small area, the exact location is not known. Even if it was know, how exactly would Archaeology and Geology identify it? An old earth would also have geological remains from previous eras, prior to the reforming of the earth, and the creation of Adam and Eve, which is plain to see from the geological record. "A statement that is ‘whistling in the wind’." I agree. But I also can say the same of the statment that there was a Garden of Eden and an Adam and Eve. "The Bible doesn’t limit the Universe to a few thousand years." Actually, that depends soley upon the reader, as seen by the Young Earth Kreationist Camp and the Old Earth Kreationist Camp. You have left the Christadelphians, get on and live what you have left of your life. If Christadelphians hassled you after leaving, you would have something to complain about. When the Lord returns you can explain to him your concerns. Went to a great lecture recently by Neil Shubin, author of Your Inner Fish, the 3.5 Billion year Journey to the Human Body. Dr. Shubin found Tiktaalik, the "fish" with lung, gills, fins, arms, teeth and fangs, on Ellesemere Island that he speculated had to be in Devonian Rocks at 370 millionyears old. It took five years, but he found it in the rock. Dozens of them. The link between fish and amphibians. He plugged that hole nicely. He found dozens with some up to 16 feet long. It was amazing to hold the skull of one and talk with him for almost an hour, one on one. He shows how genetically and anatomically (he is chair of anatomy dept at University of Chicago) how reptile jaws migrated to become human ear bones. It is easily seen in the fossil record. Those who merely read the bible as if it were science and history, are kidding themselves. We all did it. It's how we were raised. Only a relative few think it through. While watching the Discovery Channel's "How the Earth Was Formed" last week in NY, my family kept asking me if they were saying Genesis was not correct or that God did not do that. All I could say to them was "well, this is the science of how it came to be.."
"When the Lord returns you can explain to him your concerns." Blow it out your arse, mate. Corky said... Didn't read anything on that web site at all, did ya? That's the sad truth Questeruk. There's the Sumerian idea, the Babylonian idea, the Hebrew idea and all of the ideas add up to one idea - Mesopotamian Myth. Archaeology and Geology reveals there never was a Garden of Eden or Adam and Eve, nor was there ever in the earth's geologic history a universal Noah's Flood, and the Exodus -as portrayed in the Bible- is fiction according to the findings of Archaeology. what a dweebe! don't you know that it's impossible to prove a negative?? ?